Max's Restaurant, the official restaurant of Bruno Mars Moonshine Jungle Tour 2014 in the Philippines is proud to be supporting Bruno Mars in his concert tour in Manila. Happening on March 22, 2014, at the Mall of Asia Arena. Have you got tickets? All sold out? Fret not for Max's Restaurant is giving away 2 tickets to one lucky fan of Max's Restaurant everyday up to March 20, 2014. Just click on the link below to join for a chance to win Bruno Mars concert tickets! 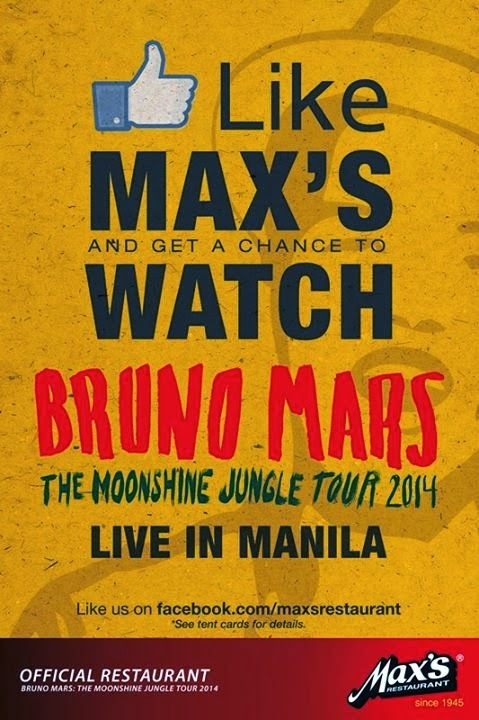 You might be the next winner of 2 tickets to see Bruno Mars Live in Manila courtesy of the official restaurant of the Moonshine Jungle Tour 2014, Max's! Want to be the next winner? Visit https://www.facebook.com/maxsrestaurant for more info on how you can win tickets to the concert! And guess what, The Food Alphabet is also doing a giveaway! 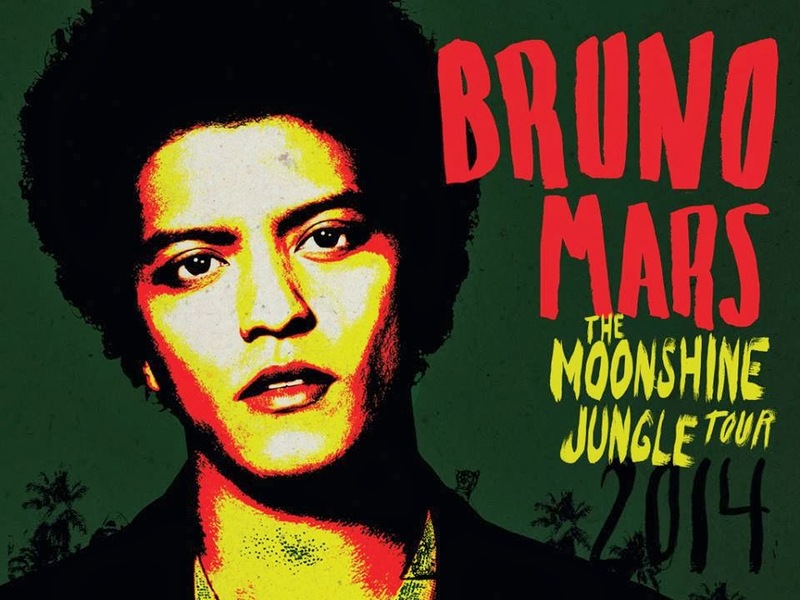 Join up for a chance to win a Bruno Mars Unorthodox Jukebox CD, with 10 cuts in the album, featuring the songs "Locked out of Heaven" and "Treasure" Catch the excitement at the concert and at your own homes as well. Join to win Bruno Mars album! Bruno Mars CD Album Giveaway! Katsu for 200 at Yabu SM Southmall! Dimsum all you can at Gloria Maris!